You’ll find more power ballads and fist-pumping anthems on here, as John Payne grows more comfortable as the new voice of Asia. Kronomyth 7.0: Sole Survivor, without the soul. 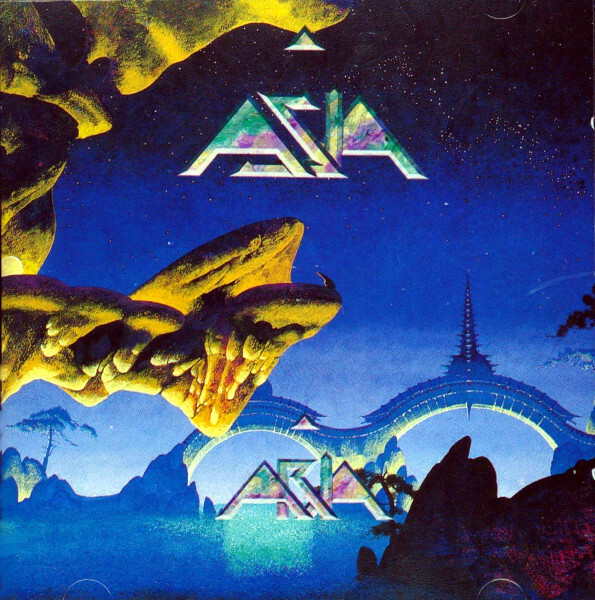 Prog fans have always had a love/hate relationship with Asia and, without Steve Howe and Carl Palmer in the band, there was ostensibly less to love about them. Yet Aqua was an effective reboot of the brand, so more than a few folks tuned in for their followup, Aria. If you liked the one, you’ll enjoy the other, since they’re similar by design. The big difference between the two is that Aqua was still trying to please prog fans, while Aria is a bombastic studio rock album with nary a trace of magic. I’m not knocking Aria by saying that; it is unabashedly over-the-top guitar/keyboard rock that wrings every ounce of drama from each song. Mind you, my initial reaction to this record was one of snobbish proggish disgust, but that would describe my initial reaction to every Asia album ever, and the truth is that, over time, some of the Asia albums eventually win me over. Aria didn’t take that long to win me over, or at least get me to a point where I could concede that the songs were remarkably and consistently catchy. Asia has always been a melodramatic act, but the nadir of their art was them spewing out other peoples’ lines (e.g., “Days Like These”). In many ways, Aria finds them sticking to their principles, even if the principal agents have largely changed. There will be some for whom an Asia with only one original member is too unoriginal, and to them I would mention that you can find as many Yes members in World Trade, if you’re so inclined. 2. Are You Big Enough? All titles written by Geoff Downes & John Payne unless noted. Geoff Downes (keyboards), John Payne (lead & backing vocals, bass & guitar), Al Pitrelli (guitars), Michael Sturgis (drums). Produced by Geoff Downes & John Payne; engineered & mixed by Andy Reilly; mixed by Gary Stevenson. Cover design & painting by Roger Dean. Sleeve layout/typography by Brian Burrows. Photos by Paul Rider. Released on compact disc in April 1994 in the UK (Bullet Proof, CDVEST 8) and on May 10, 1994 in Japan (WEA, WPCP 5830). Also released on compact disc in 1995 in the US (Mayhem, 11073-2). Re-issued on compact disc in 1998 in the US (Original Masters, 1 5523 2). Re-released on expanded compact disc in 2004 in the UK (Snapper Classics, SPDCD159) and Russia (Snapper, SMMCD523) with one bonus track. Re-released on expanded compact disc Special Edition in 2005 in Germany (Inside Out, SPV 085-48312) with 3 bonus tracks. Re-released on expanded Blu-Spec compact disc on September 19, 2012 in Japan (Columbia, SICP-20418) with 2 bonus tracks.